Now, what is Hong Kong without its world-famous Victoria Harbour? Parts of the harbour were first referenced on one of Zheng He’s sailing maps and the whole harbour was later depicted in detail in an 1810 marine chart by British colonials. It was the heart of trade during those days and it is still among one of the busiest ports in the world. At night, the area around the harbour transforms itself into a spectacle of city light with a most stunning panoramic view from above. We’ve compiled a list of 12 hotels with breathtaking views exclusively for you. The Harbour Grand Hong Kong is a treasure trove of its own. Located only a mere 2 minute walk away from Fortress Hill MTR Station, the rooms in the hotel promise you a breathtaking view of the famous Victoria Harbour. Aside from the view, the rooms also feature a flat-screen TV, a minibar, DVD Player, and 24 hour room service just for you. You can also swim around at the hotel’s 27 metre-long (88 foot) outdoor pool or simply pamper yourself at their spa. If you need to rush to the airport the following day, the hotel also has an airport shuttle service. Set yourself in a world of chic vintage glamour at this award winning hotel. 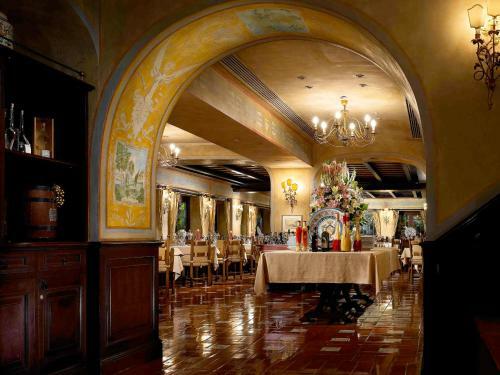 What stands out here is the hotel’s remarkable service coupled with their unique amenities, which includes a Roman-style indoor pool, a huge spa, and a cluster of 8 award-winning restaurants on the compound. The room fares brilliantly with splendid views of the Victoria Harbour. The amenities inside include an LED swivel TV, free Wi-Fi, a spa bathtub, LED touch-sceen wall panels and marble bathrooms. It’s a place that you’d definitely not want to leave. Located at the Wanchai Waterfront, the Renaissance Hong Kong Harbour View Hotel has a direct panorama across the Victoria Harbour. 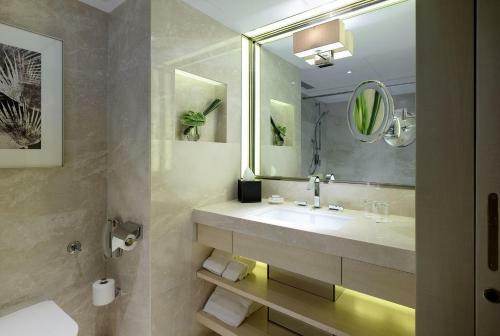 The rooms here are trendy with marble bathrooms and a touch of affluence. 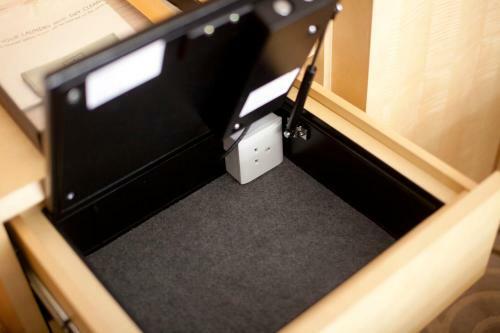 Other in-room amenities include a cable TV, a safe, and ironing facilities. There’s a fitness centre in the hotel for you to work out in or you can simply enjoy a game of golf in their golf practice green screen room. Only a stone’s throw away from Wan Chai MTR Station, The Harbourview offers a fantastic view of the Victoria Harbour and the city itself. The hotel rooms here have massive windows which bring in ample natural lighting. The amenities inside include a flat-screen TV, a refrigerator, and a directly-connected bathroom with either a shower or a bathtub. 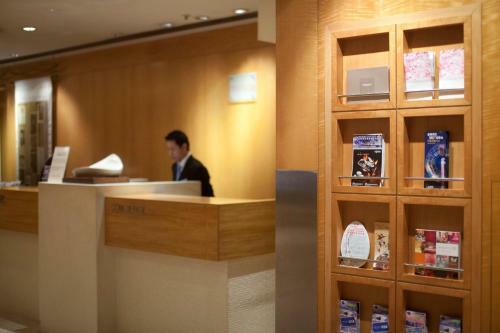 If you only have a day to explore the city, you can also arrange for a day trip at the hotel’s tour desk. You can also do your work at the business centre. The Best Western Hotel Harbour View is conveniently located near the Sai Ying Pun MTR Station. Some rooms here offer an outstanding view of the Victoria Harbour with amenities that include a flat-screen TV, a personal safe, and tea/coffee making facilities. The bathrooms here are en-suite and come with their own shower. If you’d like, you can exercise in the hotel’s gym or simply swim around in the hotel’s seasonal swimming pool. Day trips are also available here and you can arrange them at the tour desk. The Park Lane Hong Kong is located right across from Victoria Park and only a 2 minute walk to the Causeway Bay MTR Station. Most rooms in the hotel offers a stunning view of the famous harbour. The interior design is chic and modern coupled with plush furnishing. Pamper yourself at the hotel’s spa or go for a workout in the hotel’s gym. The best thing to do here is to simply have a cocktail up high in their rooftop bar while admiring the splendid sunset across the harbour. The Salisbury - YMCA Hong Kong is a great place for families to stay. There are many facilities for children such as the playground, a lap pool, and even some dance studios. For the adults though, you can try your hand at rock climbing in the rock climbing gym or simply swim in the Olympic-sized pool. If you need some time off relaxing, chill out in the hot tub or have a makeover in the hotel’s hair salon. The whole area around this hotel is quite popular with many shopping outlets, perfect for shopaholics. Located just a 5 minute walk away from Sai Ying Pun MTR Station, this hotel offers great accommodation with an impressive view of Victoria Harbour. There are several amenities in the rooms, which includes a flat-screen TV with satellite channels, a kitchenette, and a refrigerator. The hotel is also rated as one of the best values in Hong Kong, with guests saying that they’ve got more than what they bargained for. There is also a gym in this hotel for you to use if you’d like to work out. Metropark Hotel Causeway Bay Hong Kong is an easy 2 minute walk away from Tin Hau MTR Station. The rooms here feature large windows that allow ample natural lighting into your room. In the evening, you’ll get an impressive unobstructed view of the Victoria Harbour. All rooms are air conditioned and they’re furnished with light wood furnishing. There’s also a cable TV and an attached bathroom for you to use. The hotel also has a sauna and a gym. The Excelsior Hotel is right by the waterfront and promises amazing views of the Victoria Harbour. The rooms here are well equipped with a flat-screen TV, a safe, ironing facilities, and even an alarm clock. You can head to the hotel’s roof terrace restaurant to dine while enjoying the view. A gym is also available here for you to use and the area around the hotel is great for shopping. It’s a place that you definitely want to stay. The Royal Garden Hotel overlooks Victoria Harbor. The stunning views may be enjoyed from rooms and from the crystal blue swimming pool. It is conveniently situated to the Clock Tower and the Avenue of Stars. As your accommodation is situated on Mody Road, the Tsim Sha Tsui MTR Station is just a five-minute walk away. This proximity to the MTR makes it easy for you to travel around the city. Furthermore, the mall at Harbor City is just 0.7 mi away. Within the hotel, guests have the option of dining at one of the several restaurants and post-dinner drinks may be enjoyed at the popular J’s Bar. Rooms come with air-conditioning, flatscreen television, and en-suite marble bathrooms. With concierge service, a business center, and 24-hour room service, you won’t be disappointed when you stay here. The InterContinental Grand Stanford Hong Kong is situated right on the edge of Victoria Harbor. The skyline and harbor views make for nice photo opportunities. Conveniently situated within proximity of the shopping district, you will definitely be on seventh heaven if you enjoy buying luxury brands. Catch the free shuttle from the hotel to Nathan and Canton Road. After a full day of shopping, relax in your luxurious bathroom or take a dip in the outdoor rooftop swimming pool. Hungry? Start your day off with a delicious buffet at the Café on M. Then head for the Tsim Sha Tsui East ferry terminal and explore the area. When you’ve seen what there is to be seen, end your day with a lovely dinner or enjoy a few drinks at the many bars situated around. The vibrant city life of Hong Kong attracts a whole lot of people from around the world. Now, with our choice of accommodations, rest assured that you’ll have a great time here in Hong Kong while enjoying the beautiful views of Victoria Harbour. So what are you waiting for? It’s time for you to book your next destination.